For most Canadians familiar with driving across the border in New York, it is important to remember that Canada and New York are partners when it comes to enforcing the law, especially with traffic violation matters and being tough on crime. Many times, issues on the road can escalate to criminal matters and cause even more serious problems than first anticipated. The following information is designed to help you better understand some of the drug crimes that Canadians are charged with when driving in New York. Drug-related offenses that occur inside an automobile are classified as crimes and are not mere traffic violations. 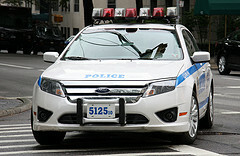 In New York, if you are stopped for a traffic violation, a police officer may ask to conduct a search. Many times, police officers use aggressive techniques in making sure that someone complies with their demands. If you and your vehicle have been searched and drugs or drug paraphernalia are found, it is presumed that the drugs are yours and the police officer will arrest you. In New York, drug paraphernalia constitutes a wide range of items that are listed under New York’s Penal Law Section 220.50. Under the statute, drug paraphernalia can be any adulterants, mixing compounds commonly used to make narcotics, gelatin capsules, glassine envelopes, vials, other materials commonly used to package drugs, scales, balances, and other utensils designed to measure or make drugs. Ultimately, if you are convicted of using or possessing drug paraphernalia in your car, you can face a Class A misdemeanor charge. This means you could go to jail for up to 1 year and face a fine of $1,000. As you might have suspected, having drugs in your car will also create a presumption that they are yours and could lead to an arrest for drug possession. A drug, or controlled substance, is considered to be anything that is listed on New York’s drug schedule and is classified as such. New York considers all the usual drugs as controlled substances in addition to certain prescription drugs and other items that are improperly used in order to attain a high. Possession is loosely defined in the context of a car. As long as the item is considered inside the car, you are presumed to be in possession of it. However, that presumption can potentially be rebutted. The severity of your crime is directly related to the amount and type of drug you are found with. For instance, according to 220.21, if you are caught possessing 8 or more ounces of methadone, you can be charged with first degree possession, which amounts to an A-1 felony. Lastly, if you only are found to be in possession of a small quantity of marijuana, you might only be facing misdemeanor charges or a non-criminal violation. 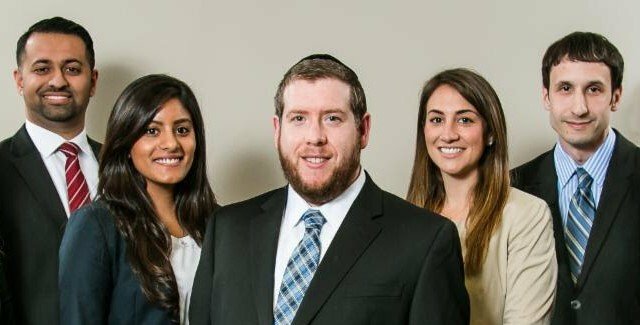 If you or a loved one was recently charged with a driving related crime in NY, contact the attorneys at The Rosenblum Law Firm today. They are skilled traffic law and criminal defense attorneys who will defend your constitutional rights and fight to have your charges reduced or dismissed. Call them today at 888-883-5529. Make sure to ask us about the severity and penalty of your specific drug possession charges and how we can help you fight.